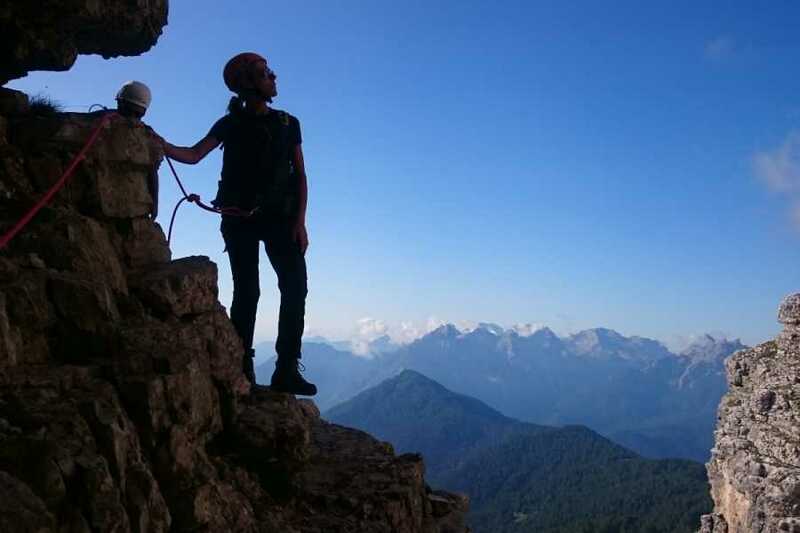 It will take us two days to conquer one of the highest mountain peaks in Dolomites. An imposing structure, resembling a giant block which is a mixture of climbing rocks and paths. It is a long way up, and it takes two days to fully experience and appreciate the thin air up at the top. Monte Pelmo climing path via normal route is time consuming but rich experience, filled with vertiginous overhangs and easy rock walls. First day in the afternoon we’ll reach refuge Venezia, situated under austere rocks of mount Pelmo to stay overnight. Second day, after a short walk we’ll reach the beginning of the climbing route. This will lead us to the vast central basin, which gives Pelmo it’s unique shape, passing across the famous Ball ledge filled with mixture of climbing routes and walking paths. We’ll slowly go up whilst witnessing scenic views of primeval beauty, until getting near the summit crest. 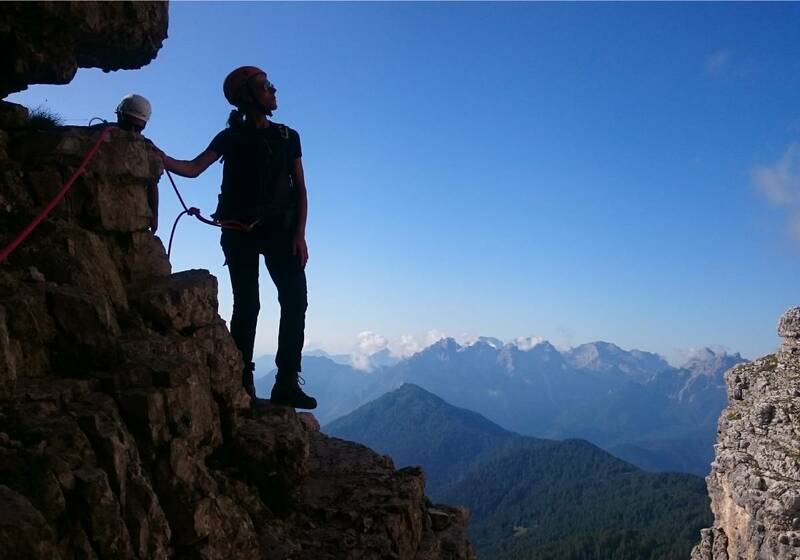 A few last brave vertiginous steps will take us to the summit, a true panoramic view of the Southern Dolomites. A wel- deserved rest at the top of Pelmo, cannot be compared to anything money can buy. Return is along the same route. Once arrived at the refuge Venezia, and finally had that long awaited beer, we’ll slowly continue our descend. Health and fitness requirements: Participants must be highly fit and in good health. Any health issues must be communicated upon booking, prior to undertaking any physical activities related with the chosen programme. This is for your own safety and the safety of the group! Difficulty: Difficult (grade, suitable for experienced climbers familiar with Alpine terrain). Clothing and equipment: Technical alpine clothing, wind/waterproof jacket, gore-tex for cold weather), harness, , climbing helmet, approach shoes, 20L backpack, energy snacks and drink, sleeping bag. Travelsport may provide all required technical equipment.